If you're planning to work another 10 years, retirement might seem a long way away. Your last decade on the job is your last chance to get your finances in order before it's too late. It starts with what seems like a no-brainer: Make certain you're saving enough to generate the income you'll need when you finally step away from the daily grind. Yet even that isn't quite as simple as it seems. A successful retirement involves not only your savings but a careful assessment of your other earnings, expenses and priorities. Financial planners say it's surprising the number of people who come into their offices with hopes of retiring in a few years but no real idea of where they stand. Here's an easy, step-by-step guide to make sure you're ready when the big day comes. Step 1. Determine your annual retirement budget. 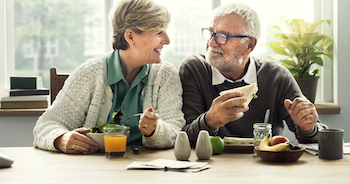 Retirement planning tends to focus on savings and potential income, but equally important is how much you can live happily on once you quit working. The most common rule of thumb is that we need to be able to replace 70% of our pre-retirement income after we stop working. But every family budget is different, and you need to have a realistic picture of how yours is likely to shape up. If you're paying off big medical bills or want to see the world, you'll need more than if you're debt-free and have no big plans to travel. If you decide to retire early, you'll need to factor in the cost of health insurance until you qualify for Medicare at 65. Once you've got a handle on what you'll need, then it's time to start looking at how close you are to that annual number. The place to start is with the one retirement benefit that everyone who's held a job can be sure of receiving: Social Security. Step 2. Find out how much you'll get from Social Security. Social Security remains the primary source of income for a majority of retired Americans. The agency used to send everyone annual statements showing lifetime earnings and expected retirement benefits. Now those paper statements only go to Americans 60 and over. However, that information is still available online. You'll need to create an account on the Social Security website. You can collect Social Security retirement benefits as early as age 62, but you'll get less by doing so. You earn more by delaying your retirement. Benefits increase up to age 70. Beyond that, there's no further benefit in waiting. 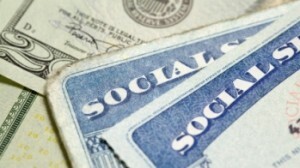 Click here for our guide on when to start collecting Social Security. Once you have an idea what you can expect from Social Security, it's time to look at additional sources of income. Step 3. Check on pension benefits. Defined-benefit pension plans, which pay a guaranteed monthly amount upon retirement, were once a regular part of the American employment landscape. They've become much rarer in recent decades. But if at some point in your working years you were employed in a unionized shop or in certain sectors of the economy, particularly manufacturing, you may have earned benefits from such a pension plan. Those benefits could still be out there, even if you've moved on to another job or career, or even if the company where you once worked has been bought, sold or gone out of business. According to the federal government, thousands of Americans have failed to claim old pension benefits totaling hundreds of millions of dollars. If there's any chance you're eligible for a defined-benefit pension, now is the time to dig through that old paperwork and find out. You can check online to see what entity is now responsible for administering the pension plan. Yes, it's a headache, but it could mean a monthly check. Step 4. See how your savings measure up. How quickly can we draw down our 401(k)s, IRAs and other investment accounts without running the risk of outliving our savings? A staple of retirement planning is something known as the 4% rule. It says you can expect your savings to last about 30 years if you withdraw an inflation-adjusted 4.5% a year. The record-low interest rates we're enduring today have caused some investment advisers to question whether that's too much. But it still provides a reasonable starting point. Multiply the balance in all of your retirement accounts and other savings by 0.045, then divide by 12 to get an amount you can safely withdraw each month. Add that to your Social Security and pension payments to get a good estimate of your monthly retirement income. Now, are you approaching 70% of what you're making today? Will you have enough to take care of your expenses and plans for retirement? If the tally falls short of what you'd hoped, don't panic. There's still time to boost the balances in your retirement accounts. But you need to be smart about it. The temptation is to move your savings into riskier investments that offer bigger returns. This is not the time to take chances like that. Lose big and you don't have enough time to recover. The smart way to play catch-up is to reduce your living expenses so that you can devote more of your earnings to savings. Doing so doesn't have to be painful. One analysis found Americans waste 15% of their income on things they don't really need. Little things like packing your lunch, or big things like fighting off the temptation to get the newest computer when the old one's working fine, can add up to thousands more you can put into savings annually. Step 5. Pay off those credit cards. On a fixed-income retirement budget, every dollar counts. If you're still paying for things you bought years ago — plus interest — you're going to be living on less when you quit working. This Credit Card Payoff Calculator can show you how to be debt-free by the time you retire. Step 6. Cut off the kids. No, you shouldn't kick your young or teenage children out on the street. But a recent study by the Pew Research Center found that 27% of all adults ages 40 to 59 are the primary source of financial support for a grown child. Unless you're very wealthy, that's a monthly expense you shouldn't be paying when retired. 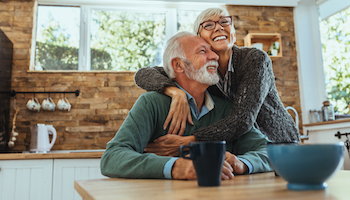 We all want to help our children, but the years before retirement are ones when it's important to focus on getting your own financial house in order. If there's a serious illness or other exceptional circumstance, of course it's different, but otherwise your children need to understand your situation and step out on their own. After all, the sooner they become financially independent, the better it is for their own long-term financial health. Step 7. Pay off the house — or not. The traditional advice has been to pay off your mortgage before retiring. That made a lot of financial sense back in the '80s when home loans often charged 10% or more, or in the '90s when rates ran 7% to 9%, or even the early 2000s when the typical mortgage cost 6% to 8%. But millions of homeowners refinanced after the financial crisis and recession when mortgage rates were at record lows. If you've locked in a super-cheap loan that charges only 2% or 3% a year, there's no pressing need to pay it off before you retire. In fact, you'll probably come out ahead taking all of the extra money you planned to apply toward your mortgage and investing it. RATE SEARCH: Compare money market account rates.